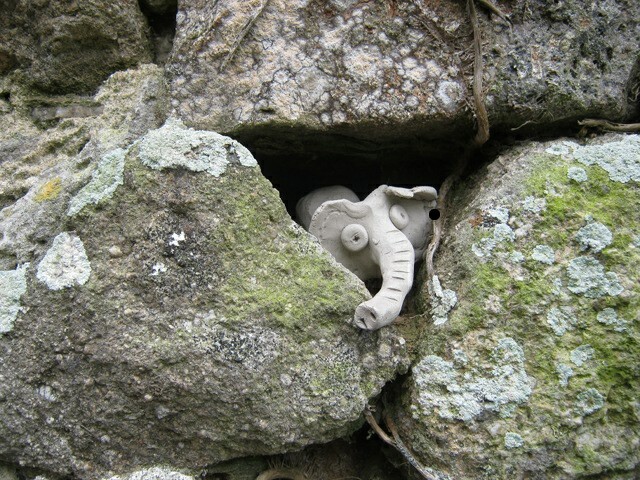 I encountered this little fella tucked between some stones in a wall at a stately home in Cornwall. It made me laugh, and point it out to the people I was with, then leave it in its cubbyhole for other visitors to discover. And it made me wonder who had made it there, then left it for someone to find. Had they tucked it in there with a particular recipient in mind? It reminded me of To Kill A Mockingbird, and how Scout and her brother Jem find gifts hidden in the knothole of a tree, and how the discovery of the source of those presents changes everything. What might your character find or hide in an unlikely place, and why? What could the consequences be? As always, if you write something prompted by this image, I’d love to know. Just send an email to Judy(at)socket creative.com. You could end up published on SkyLightRain.com!